Typically, an ideal pipe for me is less than 43 grams, less than 6" in length, though 4.5-5.25" is the sweet spot for me, and either with a slight bent or straight. I'm not too crazy about full bents at all. The bowl size is flexible, as I'll use different types of tobacco for different bowl sizes. The defining characteristic for me though is that it must be 1.5 ounces or less. It's rare I get anything these days that weighs more. Typically, an ideal pipe for me is pretty light less than 43 grams, less more than 6" in length, though 4.5-5.25" is the sweet spot for me, and either with a slight bent or straight. I'm not too crazy about full bents at all. The bowl size is flexible, as I'll use different types of tobacco for different bowl sizes; the defining characteristic for me though is that it must be 1.5 ounces or less. It's rare I get anything these days that weighs more (although, I am not sure how I weigh a bowl). All the pipes that I like have a smooth line from the bowl to the end of the stem. No saddle bits etc. I also prefer smaller pipes. I'm with you on Stanwell's. They are my favorite factory pipes for the money. I do find that the Italian made Stanwell's from 2009 on don't come with proper slots cut in the stems. That's not unusual for factory pipes including the Dunhill's I own. I always open them up properly and they smoke great. Dunhill's are my second favorite factory pipe but they are not a good deal financially. Good pipes though. I was about to start a thread entitled Describe Your Perfect Pipe. This thread already existed, however. A smooth briar, straight stem, six to seven inches total length. Very thin shank and stem, almost a pencil shank. Pot or billiard shape with rather thick bowl walls. Saddle bit. Many pre-Transition Barlings fit the bill perfectly for me, only further demonstrating that they were, likely, the most perfect pipes ever made. A sandblast, slender, straight apple is another ideal pipe that I don't come across very often. Think of the pipes Hugh Hefner used to smoke. I would say a pipe with a tapered bottom in the chamber almost like a cone. Smokes all the way to the bottom and doesn't produce steam causing the gurgle. It has been my experience that a parabolic shaped tobacco chamber is best for smoking all the way to the bottom. I switched all my chamber bits to parabolic ones a couple years ago. I am simply torn between siding in favor of the conical chamber or for the wide, flat bottomed chamber found in most pots. For the longest time I like conical chambers most of all, but then I started smoking pre transition Barlings with their decidedly more cylindrical tobacco chambers and find that, when done properly, such a chamber can impart better burning characteristics. Do you mean the chamber is conical? If so I agree for Latakia mixtures and some others. Burley mixtures will do well in these too. From habit Latakia mixture pipes are all bent pipes for me. The big conical bowled Danish monsters and all the bent Pete system pipes fit this. Whereas Virginia pipes are usually straight pipes and smaller both in overall and chamber dimensions than the big bents. Straight Billiards (and their kin), Bulldogs/Rhodesians, Dublins, Apples etc are all Virginia pipes. So there isn't one perfect pipe for me, rather it depends upon the tobacco. Other than that the pipe should be visually interesting and or have a nice tactile quality. So, at this point, there isn't really a preference for clear finish over rusticated/blasted. Many of mine have longer shanks/shorter stems as well. And a good smoker please. Why a parabolic bottom, Wayne? I'm curious about how deep/shallow the parabolic arc is. Lots of briar, for a cool smoke, yet balanced. Large, deep tobacco chamber, for a long smoke. Sandblasted, for easier heat dissipation. Brandy shape, feels natural in the hand. The problem I've found with conical chambers is that they aren't very forgiving of heavy handed or over-tamping which is, admittedly, the problem of the smoker rather than the pipe. The reason is because the tobacco forces in a conical chamber is applied downward and inward at the same time leaving the tobacco packed tighter towards the bottom of the bowl which can become problematic in managing moisture and the ember. 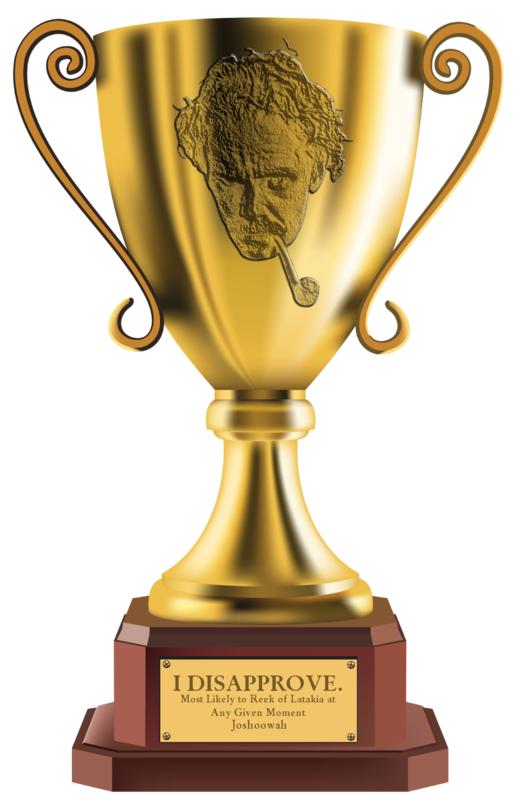 When smoked properly, however, a conical chamber will smoke to the very last bit of tobacco. The problem with cylindrical chambers is that the closer you get towards the bottom, the ember can be drawn towards the airway leaving the far side heel of the pipe tobacco unsmoked and thus more dottle. A parabolic shaped chamber is a nice compromise between the two, IMHO. The walls are cylindrical but taper at the bottom 1/3 or so of the bowl. I'll have to take a photo of the parabolic bits I use so you can see the depth of the curve. I have and use all three chamber geometries (conical, cylindrical, and parabolic) for different applications. For example, conical is typically good for shapes like Dublins where the bowl thickness is thinner towards the heel of the pipe. Cylindrical with a more rounded bottom is often better for short pipes with relatively shallow chambers like apples and pots if for no other reason than they need the extra volume. For pretty much everything else, I typically use parabolic. I am very new to pipe smoking. 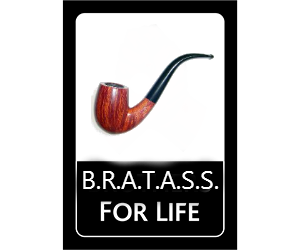 Have smoked a pipe before, but without enjoyment or much knowledge. So, I have a lot of questions about pipes, techniques, tobaccos, cleaning pipes, etc, etc. Easy Hugo, you can learn a lot in less than two years. Indeed. One could. I have to admit, my problem is seeing the same doggone pipe in 3 or 4 threads accompanied by more or less the same text. Na. Only in 2 threads. This one and Your latest Pipe Purchase thread. In this thread I lauded the characteristics of a perfect pipe. Perfect for me, that is. And that's all that matters. People can follow the Goose into pipe smoking heaven, if they choose to,....or not. LOL! Imagine somebody complaining about too many pipes. Y'know, you could photoshop up a string of these pipes that alternately light up. A decorative string. And then you could decorate other threads too. Does a pipe smoking hell exist? If it does, I'd say it's one of those poor things with a broken stem and a cracked bowl.